 Wallets: Consumers want to pay an accurate market price at all times.  Futures & Financial products: Financial products require stable backbone. One example: 796.com, the world’s largest Bitcoin-Futures exchange, uses this API calculate their Millions of USD worth of weekly settlements.  Billing platforms: Invoicing & billing services require a current price to generate correct fiat figures for business owners.  Portfolio Management: Tracking your client’s or your own investments.  Gaming Industry: Settlement calculation or Fiat value displayed to gamers.  News & info Services: News agencies and search engines can now display comprehensive market data. 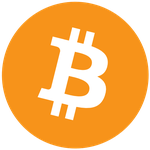  & Any possible product or service that requires an accurate price Fiat price for Bitcoin.